- instructor gave detailed and useful feedback. The format of lessons (video conferences) allowed me to benefit from live communication with the instructor, but save time on transport. I recommend the course to everyone who is planning to apply to leading MBA and masters programs and who needs a high GMAT/GRE score. After attending 2 courses (Verbal GMAT/GRE and Consutling Math) I managed to increase my GMAT score by 60 points.  Those who plan to apply to business schools and want to obtain necessary technical skills to obtain high results, I recommend Fless courses. My GMAT score is now 670 with a 7 for integrated reasoning. The course was very useful and served as a base in my GMAT prep. I will now focus on practice tests. The overall score for the course is 5 out of 5. The course was very useful for me. I wanted to improve my PST results, rather than prepare for GMAT. And I achieved my goal. I also improved my speaking in the process. The only disadvantage was lack of structure in terms of how the theory was proposed. I just finished Fless's Verbal GMAT course and want to share my experience. I liked the course and am happy with the results. First, I liked that the teacher was a native speaker. This was especially important when writing essays and learning set English phrases or expressions. Second, the structure of the course was well thought. The course is split into 4 modules (Critical Reasoning, Reading & Comprehension, Sentence Correction and AWA). Each module begins with examples, then theory, and then practice, in order to develop the right skill. The course begins and ends with an entry/exit test, which includes all types of GMAT Verbal questions. I significantly improved my results on 2 of the most difficult types of questions for me: AWA and Reading & Comprehension, so I was extremely happy for this! It was also a great advantage that the instructor sent extra questions to those, who wished for extra training, and was always happy to check our essays. The student can send as many essays as he likes at a time and receive feedback. I highly recommend the Verbal GMAT/GRE course! We will send payment instructions once we receive your application. International payment is effected through PayPal. The Verbal course not only helps prepare for GMAT and GRE, but helps significantly improve your results on consulting tests, which originate from GMAT type questions. Many of our students simultaneously prepare for MBA and a consulting career. If you are one of them, this course is certainly for you. Also look in to the math prep course, it will boost your mental math like none other! We currently offer two options: direct payment by bank details or PayPal. Payment by credit card should be available by summer 2019. What if I have financial difficulties? We offer payment by instalments: 50% to secure a spot in a group, remaining 50% before the first lesson starts. Other terms and dates are discussible. All Fless alumni get a 10% discount for the second and all further courses. Unfortunately, we do not have special discounts for students. Is my command of English enough to take the course? Do you ever enroll more than 10 people in a course? What does an online class look like?